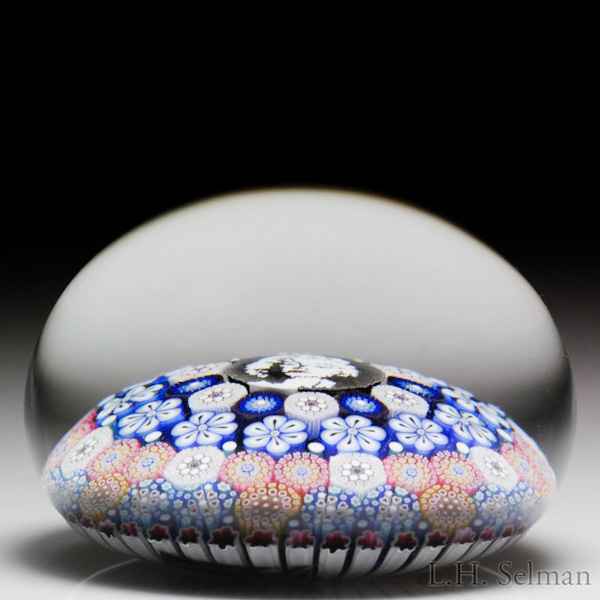 Mike Hunter 2017 close concentric millefiori, flowers and Marilyn Monroe murrina paperweight. A picture cane of Marilyn Monroe is at the center of four rings of very complex millefiori, including blue daisies, inside a white stave basket. Signature cane. Signed/dated. Diameter 2 13/16".